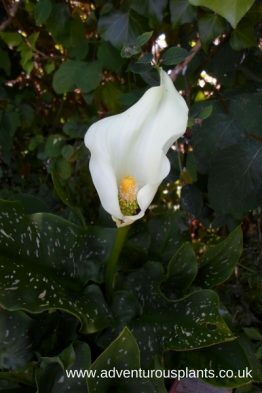 Zantedeschia is a popular and widely grown genus, originating from South Africa. 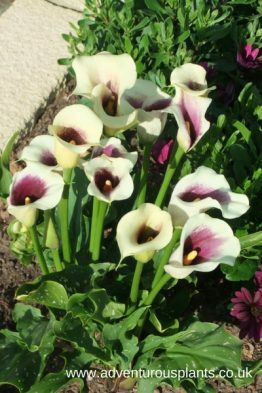 Zantedeschia aethiopica is root hardy in the UK, as it’s various cultivars. 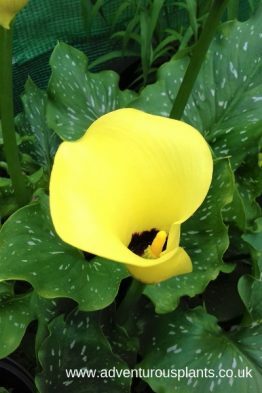 Other members of the genus are more borderline to tender but well worth growing. 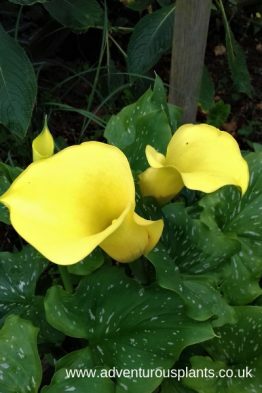 Tender tubers can be lifted and stored dry for the winter.